The fact that Catherine meant what she said is very evident from the deepening of her spiritual life and ever increasing devotion to Jesus and the Blessed Virgin Mary. During the next two years, she and Tonine lived with a kindly aunt, Marguerite Jeanror, her father’s sister, in the nearby village of Saint-Remy. Catherine was pleased to discover that Saint Remy had a resident priest, which is something that her hometown did not have, and for the first time in her life Catherine was given an organized course of instruction in Catholic doctrine and guidance in cultivating the spiritual virtues. It was the only formal education she was ever to receive, a strange and mysterious thing, for she came of educated parents and her brothers and sisters all had more advanced schooling in varying degrees. And so it is hard not to see here design of heaven to keep Catherine ignorant, so that the divine origin of her visions might be the more apparent. In the meantime she began to clear the way toward a religious vocation by training Tonine to take over the household. Catherine refused at least three proposals of marriage, only to meet with a flat “no” from her father when she asked his permission to enter religion. In fact he took steps to prevent her from becoming a nun by sending her to Paris to serve as a waitress in her brother’s cafe, with the thought that the allurements of the city might distract her from her religious intentions. After a year of living in the city, Catherine was disappointed with this type of life, and with the help of her brothers and sisters she went to study at a “finishing” school conducted by a sister-in-law at Chatillon. Although Catherine’s calling was now crystal-clear, nevertheless, she had serious obstacles to overcome before she would be free to follow that calling. First, there was her father. By this time, Catherine was twenty-three years old and did not need her father’s permission to enter religion, but obedience was the soul of her spiritual life, and she felt that her obedience would not be perfect, should she not have his blessing. Her sister-in-law, Jeanne Laboure, came to her assistance. Jeanne was a favorite with Catherine’s father and she knew how to bend him to her will. Soon he gave in and sent Catherine the blessing she so desperately wanted, but, in doing so, he thrust one final arrow into her heart. He refused her the dowry customarily required of those entering the Convent. It was a foolish thing to do, for it only served to humiliate the daughter who had served him so well, and to reveal his own lack of charity. Once again here Catherine showed her virtue by never uttering a word of criticism or complaint–in fact, all her life she spoke of her father in the most glowing terms. Jeanne and her husband, Catherine’s brother Hubert, supplied the dowry and the trousseau Catherine would need for her novitiate. Now the second obstacle to Catherine’s vocation was even more difficult to surmount. The Sister Superior of the hospital at Chatillon was most reluctant to receive a religious candidate so poorly educated as Catherine. Once more, Catherine found a champion, this time in the person of the Sister Assistant of the house, Sister Victoire Sejole, Catherine had been accompanying Sister Sejole on her errands of mercy, and the good Sister, who had an extraordinary faculty for discerning souls, had come to recognize in her an unusual depth of spirituality. She begged the Superior to accept the girl, pointing out that Catherine was “a good village girl, the kind St. Vincent loved,” and promising to instruct her personally in the basics of learning that she would need in the convent. The Sister Superior acquiesced, and Catherine was now about to begin the life with Jesus that she had so desired. 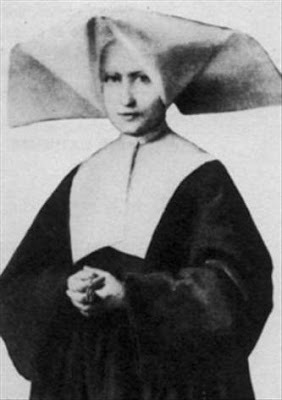 Catherine entered the Sisters of Charity as a postulant at Chatillon on January 22,1830, and in the short three months that she spent there left an unforgettable impression of goodness. On April 21, 1830, she entered the novitiate, or seminary, as the Sisters of Charity call it, at 140 rue du Bac in Paris. She arrived just in time to assist at the translation of the body of St. Vincent de Paul from the Cathedral of Notre Dame to the newly erected mother church of the Vincentian Fathers. A novena of thanks¬giving was held at the church to celebrate this great event, and each evening, on returning home, Catherine was granted a vision of St. Vincent’s heart. “On the eve of the feast of St. Vincent, good Mother Martha spoke to us of devotion to the saints, and to the Blessed Virgin in particular. It gave me so great a desire to see her that I went to bed with the thought that I would see my good Mother that very night-it was a desire I had long cherished. “We had been given a piece of a surplice of St. Vincent’s. I tore my piece in half, swallowed it, and fell asleep, confident that St. Vincent would obtain for me the grace of seeing the Blessed Virgin. “At once the thought struck me: Someone will hear me. “He followed me, or rather I followed him; he kept to my left, and was surrounded with rays of light. Wherever we went, the lights were lit, a fact which astonished me very much. But my surprise was greatest at the threshold of the chapel: the door opened of itself, the child scarcely having touched it with the tip of his finger. It was the height of everything, to see that all the torches and tapers were burning-it reminded me of midnight Mass. I did not see the Blessed Virgin. The child led me into the sanctuary, to the side of M. le Directeur’s chair. There he remained the whole time. “It would be impossible for me to describe what I felt at that moment, or what passed within me, for it seemed to me that I could not possibly look upon the Blessed Virgin. “Looking upon the Blessed Virgin, I flung myself toward her, and falling upon my knees on the altar steps, I rested my hands in her lap. There a moment passed, the sweetest of my life. I could not say what I felt. The Blessed Virgin told me how I must conduct myself with my director, and added several things that I must not tell. As to what I should do in time of trouble, she pointed with her left hand to the foot of the altar, and told me to come there and to open up my heart, assuring me that I would receive all the consolation I needed. “I asked her the meaning of everything I had seen, and she deigned to explain it to me. I could not say how long I stayed with her. When she left, it was as if she faded away, becoming a shadow which moved toward the tribune, the way she had come. “We went back the same way, always surrounded with light, the child still keeping to the left. I believe that this child was my guardian angel, who showed himself that he might take me to see the Blessed Virgin, for I had often prayed to him to obtain this favor for me. He was dressed in white, and shone with a mysterious light that was more resplendent than light itself; he appeared to be four or five years old. Catherine appended to this over-all account the actual words spoken by Our Lady during this interview. With her usual precision, she entitled it: July Conversation with the Most Blessed Virgin, from 11:30 in the evening of the 18th until 1:30 in the morning of the 19th, St. Vincent’s de Paul’s feast day. “My child, the good God wishes to charge you with a mission. You will have much to suffer, but you will rise above these sufferings by reflecting that what you do is for the glory of God. You will know what the good God wants. You will be tormented until you have told him who is charged with directing you. You will be contradicted but, do not fear, you will have grace. Tell with confidence all that passes within you; tell it with simplicity. Have confidence. Do not be afraid. “You will see certain things; give an account of what you see and hear. You will be inspired in your prayers: give an account of what I tell you and of what you will understand in your prayers. “The times are very evil. Sorrows will befall France; the throne will be overturned. The whole world will be plunged into every kind of misery. (In saying this, the Blessed Virgin appeared very distressed.) But come to the foot of the altar. There graces will be shed upon all, great and small, who ask for them. Especially will graces be shed upon those who ask for them. “Tell that to him who has charge of you, even though he is not the superior. He will be given charge of the Community in a special way; he must do everything he can to restore the rule in vigor. Tell him for me to guard against useless reading, loss of time, and visits. When the rule will have been restored in vigor, a community will ask to be united to your Community. Such is not customary, but I love them; God will bless those who take them in; they will enjoy great peace.’ [Our Lady spoke of Mother Seton’s Sisters from Emmitsburg, Maryland, who petitioned for union with St. Vincent’s Community, and were admitted in 1849]. “The Community will enjoy a great peace; it will become large.’ But, there will be an abundance of sorrows, and the danger will be great. Yet, do not be afraid; tell them not to be afraid. The protection of God will be ever present in a special way-and St. Vincent will protect you. (Now the Blessed Virgin was very sad.) I shall be with you myself. I always have my eye upon you. I will grant you many graces. The moment will come when the danger will be extreme. It will seem that all is lost. At that time, I will be with you. Have confidence. You will recognize my coming and the protection of God over the Community, the protection of St. Vincent over both Communities. Have confidence; do not be discouraged; I will be with you then. “But it will not be the same for other communities-there will be victims (the Blessed Virgin had tears in her eyes when she said it)among the clergy of Paris there will be victims-Monseigneur the Archbishop-(at this name the tears came afresh). Like the apparitions of St. Vincent’s heart, this apparition was a prelude to the great apparition of the Miraculous Medal which would soon happen on November 27. Catherine is to be entrusted with a mission, but she is not yet told what that mission will be. Our Lady does, however, foretell the dire happenings to befall France and the world in 1870, that year of turmoil and upheaval. There is some reason to believe that her predictions were not meant to apply only to the year 1870, for, during the revolution of 1830, which erupted just a week after this apparition, and during the revolution of 1848, these predictions were fulfilled at least in part. It is an especially striking fact that, although Archbishop Darboy was murdered in 1870, as Our Lady had foretold, so too, Archbishop Affre was shot to death on the barricades in 1848, and Archbishop de Quelen had twice to flee for his life during the “Glorious Three Days” of the revolution of 1830. The fulfillment of these terrible prophecies of the Mother of God may be considered in a practical way as one of the many proofs of the authenticity of the visions. They may be also looked upon as hints of even more horrible punishments to befall mankind, such as World Wars I and II, for which the “mission” to be entrusted to Catherine would be in the form of a remedy for what is lacking by much of mankind. “On November 27, 1830, which fell upon the Saturday before the first Sunday of Advent, at five-thirty in the evening, in the deep silence after the point of the meditation had been read-that is, several minutes after the point of the meditations–I heard a sound like the rustling of a silk dress, from the tribune near the picture of St. Joseph. Turning in that direction, I saw the Blessed Virgin, at the level of St. Joseph’s picture. The Virgin was standing. She was of medium height, and clothed all in white. Her dress was of the whiteness of the dawn made in the style called “a la Vierge,” that is, high neck and plain sleeves. A white veil covered her head and fell on either side to her feet. Under the veil her hair, in coils, was bound with a fillet ornamented with lace, about three centimeters in height or of two fingers’ breadth, without pleats, and resting lightly on the hair. “Her face was sufficiently exposed, indeed exposed very well, and so beautiful that it seems to me impossible to express her ravishing beauty. Her feet rested on a white globe, that is to say half a globe, or at least I saw only half. There was also a serpent, green in color with yellow spots. “The hands were raised to the height of the stomach and held, in a very relaxed manner and as if offering it to God, a golden ball surmounted with a little golden cross, which represented the world. Her eyes were now raised to heaven, now lowered. Her face was of such beauty that I could not describe it. “All at once I saw rings on her fingers, three rings to each finger, the largest one near the base of the finger, one of medium size in the middle, the smallest one at the tip. Each ring was set with gems, some more beautiful than others; the larger gems emitted greater rays and the smaller gems, smaller rays; the rays bursting from all sides flooded the base, so that I could no longer see the feet of the Blessed Virgin. “I could not express what I felt at this, what I saw, the beauty and the brilliance of the dazzling rays. “This made me realize how right it was to pray to the Blessed Virgin and how generous she was to those who did pray to her, what graces she gave to those who asked for them, what joy she had in giving them. “The inscription, in a semi-circle, began at the height of the right hand, passed over the head, and finished at the height of the left hand. “The golden ball disappeared in the brilliance of the sheaves of light bursting from all sides; the hands turned out and the arms were bent down under the weight of the treasures of grace obtained. “Sister Laboure must still be in ecstasy.” Yet this Sister spoke more truly than she realised! There can be little doubt that she received supernatural help in keeping her secret. 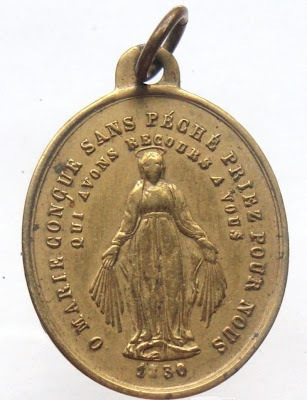 This was especially evident when, in 1836, the Archbishop of Paris urged Catherine’s confessor Father Aladel to have her come forward and testify in person at the first official inquiry into the origin of the Medal. After Catherine had repeatedly tried to avoid testifying, with evident reluctance and anguish, she finally came up with the astonishing statement that it would do no good for her to testify anyway, for she could remember no detail of the apparitions! And the fact that this was no pure invention on her part was proven by at least two more well-authenticated periods of forgetfulness at other intervals in her life. God, it seems, intervened in her favor and drew a curtain over her memory during a few periods of time, to keep her humble and in the background. After these days of intense mystical graces Catherine spent the remaining forty-six years of her life in complete obscurity at the Hospice d’Enghien in the environs of Paris, first as cook, then as laundress and custodian of the clothes room, and finally, for forty years, in charge of the old men who were inmates of the house. It was a singularly humdrum life, without glamour, or even much of human gratitude. The ordinariness of it obscured even her heroic sanctity, so that none of Catherine’s Sisters, except in hindsight, regarded her as more than a good and regular religious. There were certain moments when the glory shone through-as on the morning when her Sisters discovered her in ecstasy before a statue of the Virgin in the garden, or when she made some passing prediction that inevitably came true–however these were but momentary, and everyone quickly forgot them. Beneath the veneer of daily religious life, Catherine Laboure was deeply involved in the practice of heroic virtue and devotion to God. It was only in 1876, a scant six months before her death, that the secret greatness of Catherine was finally revealed. Our Lady had asked for the erection of a statue depicting her in the attitude of the first phase of the Apparition of November 27, as the “Virgin of the Globe,” and the statue had not been made. Fearing to appear before Mary Immacu¬late without every last detail of her mission accomplished, Catherine broke her long silence in order that it might be done. Father Aladel had died in 1865 and had been succeeded as Catherine ‘s confessor by Father Chinchon. For reasons that can only be guessed, neither of these men had seen to the making of the statue. Now Father Chinchon was suddenly sent to a distant house, and Catherine, who knew supernaturally that she had but a few months to live, found herself bereft of her trusted confidant. In panic she rejected the idea of confiding in her new confessor, and went directly to the Superior General, to beg him to restore Father Chinchon as her confessor. Whether or not she meant to reveal herself to the General as the Sister of the Apparitions, we shall never know, for she grew confused in his presence and was able only to stammer her startling request. To the General, therefore, she seemed to be just an old nun. Gently but firmly he refused her request. The next morning, having secured the permission of the Mother of God, Catherine summoned her Superior, revealed herself as the Seer of the Apparitions, and begged that plans be set on foot for the making of the statue of the “Virgin of the Globe.” Before her death she was to see the plaster model in the studio of the sculptor. The first phase of the apparition, popularly referred to as the “Virgin of the Globe,” however, is concerned with the doctrine which describes Mary as the Mediatrix of all graces. Briefly, this doctrine, which is not yet defined by the Church but which is considered certain by theologians, states that all prayers and petitions, whether addressed specifically to Mary, or to God and the saints, are presented to God by her, and all graces, whether answers to prayer or gifts unsought, pass through her hands to mankind. This doctrine is admirably represented by the attitude of the Mother of God offering the golden ball which represents the world, to God, her lips moving in prayer-this is the intercessory office of Our Lady-and by the brilliant rays streaming from the rings on her hands, symbolic of the actual bestowal of the graces obtained. It was and is the fulfillment of this promise, the abundance of graces, that quickly endeared the Medal to the world. The spread of the Medal was so rapid and the flood of favors it let loose so startling, that the faithful gave it the name “Miraculous.” The number of Medals minted since 1832, when it was first struck, is beyond all counting. It is easily in the hundreds of millions. The Medal is worn by Protestant and Jew as well as Catholic. The wonders it works are as ordinary or as extraordinary as the needs and ills of mankind. Conversions to the Faith, repentance of hardened sinners, recognition of the Will of God, peace in homes, recoveries from illness acute and chronic, critical and minor-the catalogue is endless. Each wearer of the Medal has his own story to tell. 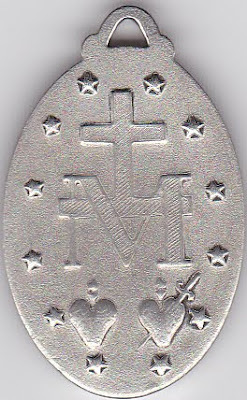 Best of all, the Medal seems to have a special power for promoting and deepening personal devotion to the Mother of God. Thus it has not merely a passing or momentary effect on the soul it touches, but an effect which is so lasting as to be, in many cases, eternal. Under this aspect, it has assumed a mighty role in the reconversion of the world, for it betters the individual soul, and the world’s goodness is exactly equal to the sum of all good hearts. Catherine Laboure is the perfect model of what Our Lady intended the Medal to do for mankind. 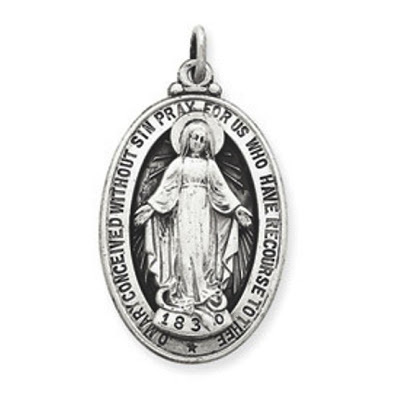 As already stated, the Miraculous Medal is meant to sanctify those who wear it. 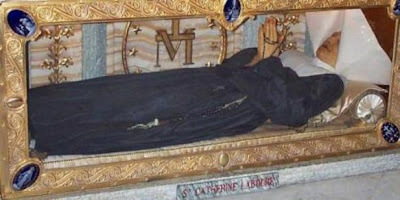 Catherine Laboure is not a saint because she saw the Blessed Virgin, but because she cultivated devotion to her and allowed this devotion to influence her way of life. In so doing, she realized perfectly Our Lady’s objective: not the performance of heroic, or even unusual, deeds by her clients, but the perfection of their ordinary states of life. Catherine’s formula was very simple: she did what she was supposed to do; she did it as well as she could; and she did it for God. It is a formula that everyone can, and should, follow. No one pretends that it is easy; the pursuit of virtue entails self-discipline and sacrifice: but it is attainable. The sanctity of Catherine Laboure is proof. 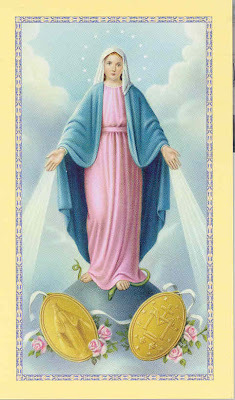 She is, therefore, the “Saint of Ordinary People,” a flesh-and-blood rendering of the message of Mary to mankind through the Apparitions of the Miraculous Medal, a model for the salvation of the modern world. 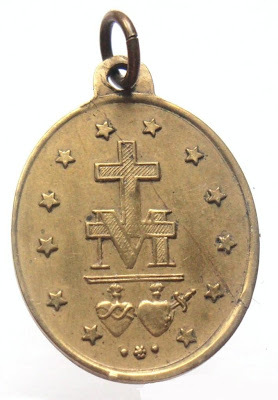 Mary Immaculate did not specifically ask for any set form of devotion beyond the wearing of the Medal. Therefore one must come to the conclusion that the medal itself provides the inspiration for devotion, for the medal is a lesson unto itself of the depth of love that we are to have for Jesus and Mary. “The Lady of the Miraculous Medal” by Rev. Joseph I. Dirvin, C.M.